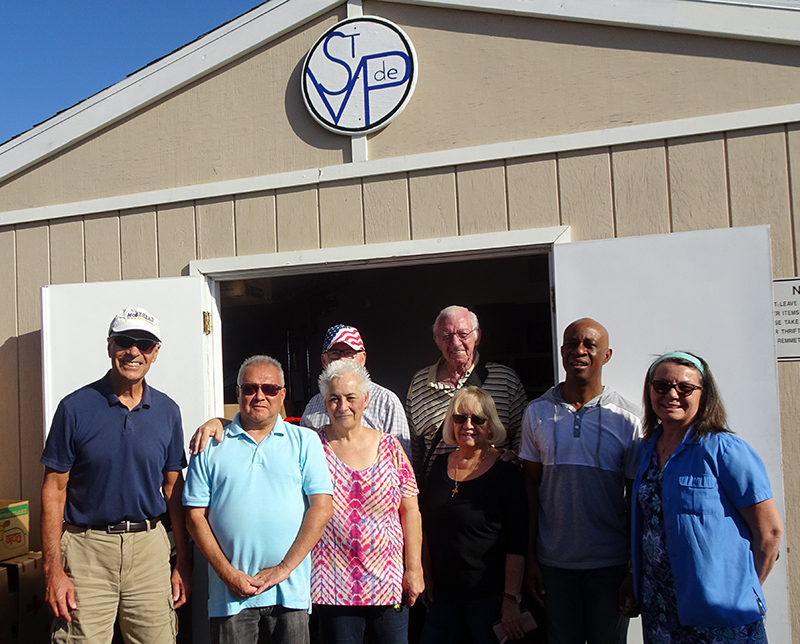 Every Saturday morning at 9:00 a.m. St Vincent de Paul volunteers open our parish Food Pantry, prepare for the weekly food distribution, and give bags of groceries to people in our parish and neighboring communities who need our help. Hunger is year-round. The Food Pantry depends on the generosity of our parish family. Place your non-perishable food donations in the St. Vincent de Paul boxes at the church entrances any time or stop by the Food Pantry on Saturday morning. Canned meat (beef and chicken) products, chunky soups and stews, beef and bean chili, canned tuna, macaroni and cheese, spaghetti and sauce, boxed mashed potatoes, peanut butter and jelly, canned fruits, rice, beans, cereal, oatmeal. Contact the St. Vincent de Paul voicemail at 818.773.1864. Leave your name, address, and phone number and state your need. A Vincentian volunteer will return your call and set up an appointment.